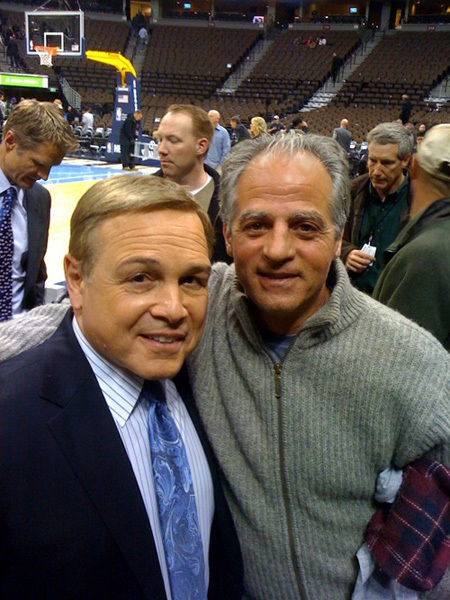 Last night my longtime friend Michael Gualario paid a visit to the Pepsi Center to watch Carmelo and the Nuggets dominate the LeBron-less Heat. Michael grew up in Hoboken, New Jersey but now he lives in the Boulder, Colorado area so we get together whenever I’m out that way. Michael was my roommate, fraternity brother and football teammate at Montclair State University. We’ve always called him GiGi, and I used to go by Fooch while our friend Tommy Goodie was nicknamed Gooch. Not sure why Fooch didn’t stick, but it’s probably for the best.